The Chateau de Rivau is situated in Lémere, to the south of the Loire Valley and about 12 kilometres south-east of Chinon. 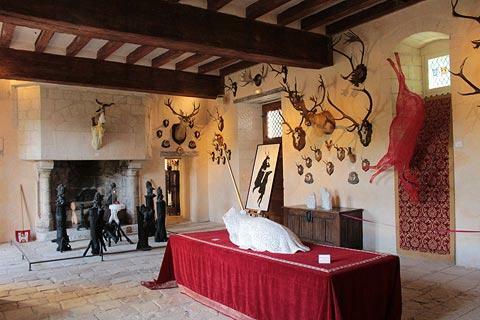 The castle is one of the most important tourist destinations in the Touraine region. 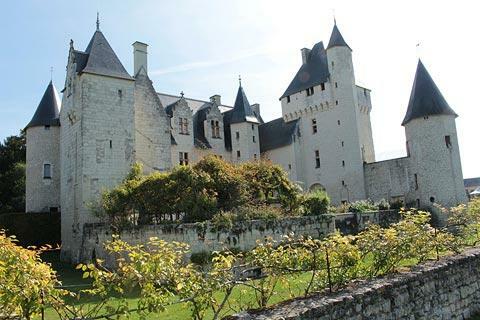 Built in the middle of the 15th century by François de Beauvau, a military captain for the French King, the castle is essentially medieval in design with the castle keep and round towers dominating the external appearance. Despite the defensive appearance and military elements, Rivau incorporates many renaissance style elements such as the windows, added after the original castle was built. 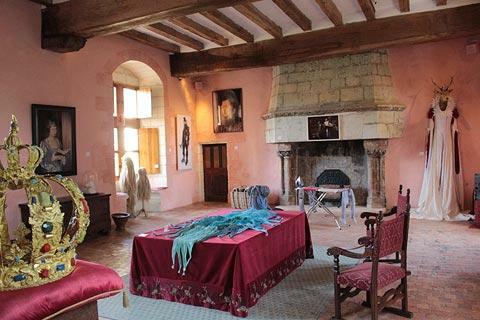 The interior of Chateau du Rivau is also a much more comfortable and well equipped interior than we would find in a medieval fortress, with large comfortably furnished salons and monumental fireplaces. The substantial stables next to the castle were added around 1510 and it was here that the horses used by the royal family were kept and trained: Le Rivau was an important source of military horses before this and as early as 1429, towards the end of the Hundred Years' War and before the siege of Orleans, Joan of Arc and her followers came here for their horses. 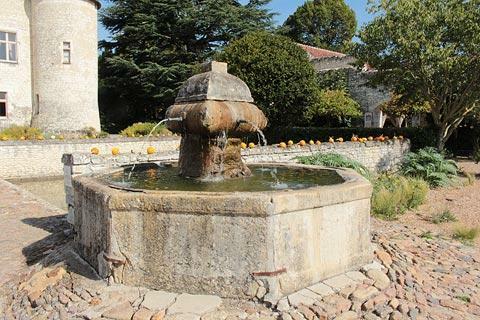 The current owners of Chateau du Rivau bought it about 20 years ago, and over the last two decades they have carried out a very extensive programme of renovation works on the castle, stables and winery, which had started to fall into serious disrepair. 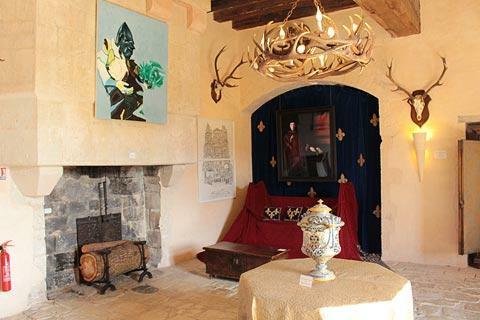 The interior of the Chateau de Rivau is now furnished in an eclectic style with a mix of historic items and contemporary additions and artworks. 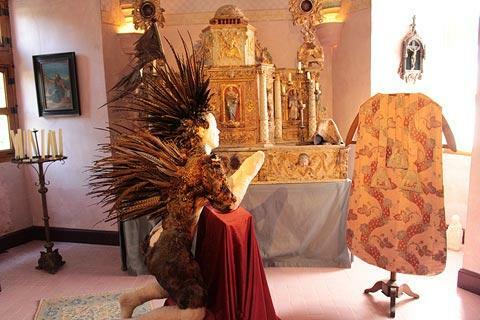 This is in contrast with the historical rooms you will see in many of the castles in the region, and although we did not always find the combinations of old and contemporary successful they are certainly interesting and bring an extra dimension to a visit. In the Royal stables there is a video showing on the stable walls that explains the importance of equestrian art in the time of King Francois 1. The owners have also planned and reinstated extensive gardens at the castle, based around a series of twelve newly designed gardens that are intended to evoque the medieval art of gardening through the use of modern planting, and incorporating various other artistic objects. Called the Fairytale Gardens these are officially listed as "remarkable gardens" and are perhaps the principal reason why visitors come to the castle. The gardens close to the castle such as the vegetable garden in the courtyard, and the Cassinina and Rapunzel gardens to the west of the castle are the most formal and most interesting and feature a wide range of plants and flowers, including a large number of roses (it is ideal if you can visit earlier in the year, very few roses remain by the end of September). Beyond these gardens there are less formal areas in the woods which are principally for entertaining children and making the woodland walk more interesting, such as a labyrinth and a woodland containing hammocks. 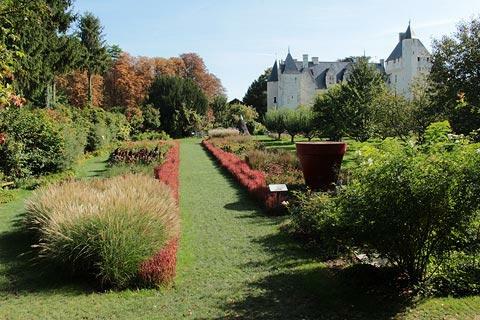 The Chateau du Rivau is open from the beginning of April to the beginning of November, from 10:00 - 19:00 from 1 May to 30 September, and 10:00 - 18:00 at other times. 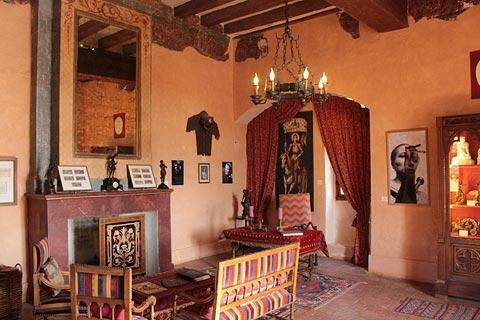 Admission costs around 11 euros. There is also a restaurant on site, as well as a gift shop. 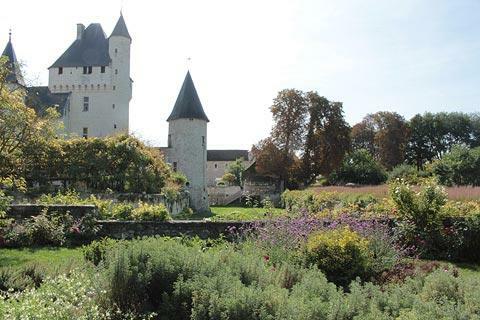 If you are exploring the region around Château de Rivau you will also enjoy a visit to the pretty village at Crissay-sur-Manse, to the east of here and listed among the 'most beautiful villages in France'. Between the two you can pause at Tavant to admire the frescoes in the church. To the north-west of Rivau you will want to explore the lovely historic centre of Chinon as well as visit the Chateau de Chinon, on a ridge above the town. See also more Loire Valley castles. 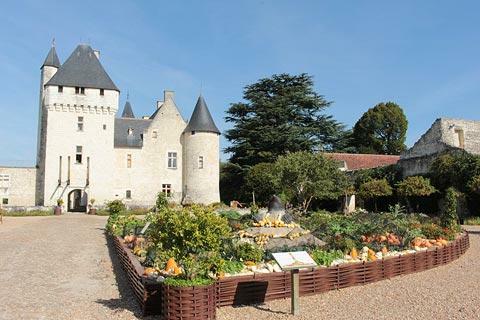 You can find more local travel ideas in the Indre-et-Loire guide and the Loire Valley guide.